Has this ever happened in your family? You start with two socks and somewhere between the hamper and the washer one runs away! I mean seriously, where in the world do they go? Sometime I am afraid to put my clothes in the laundry basket, for fear that I may never see them again. When you have 12 feet in your house, times seven days can equal a mountain of socks when washed. What about keeping the pairs together? I have eight little feet that appear to be the same size! I am lucky my husband wears black socks for work so they are easy to identify. Originally, he came up with the idea of sewing different color string to identify the pairs, but we still came up short at the end of the week. Then one day it came to me, the solution to never loose a sock again! I had been using small zipper bags for smaller items in the laundry with great success, so why not use it with socks? I rushed to the store and called a family meeting. Here is the system that saved me from sock insanity and never lose a sock again! First: Since we have 6 people in the house, I purchased 1 bag per person. Third: This is the critical step, hang the bag near the laundry basket. I know this could not be pretty, so do what you can, but make it easy for everyone. Consistency is the key. Fourth: Wash & Dry the socks in the bag and return to person’s pile. If you have been reading my blog, you know my children do the laundry as part of their daily chores. (#winning) See how we make everything happen every day with a Chore Chart for Kids Printable. So the children return the bag to the owner with their clean clothes. I don’t have the children fold the socks, so I purchased a second bag so there is always one available to collect dirty socks. And there you have it, my friends, even in a move my family of six people and twelve feet have not lost socks. 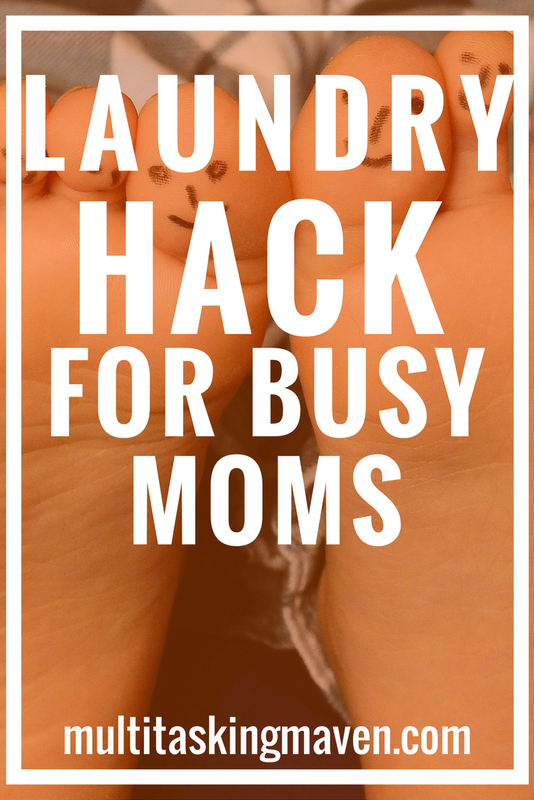 We no longer have a basket brimming with unpaired socks, children screaming that they cannot find their socks, a husband trying to get ready in the morning without socks, or orphaned socks. Just another trick to streamline the problem of the missing sock. Since we are talking about laundry hacks, if you have ever thought about making your own powder laundry detergent check out how a science fair project turned into a huge monthly savings.